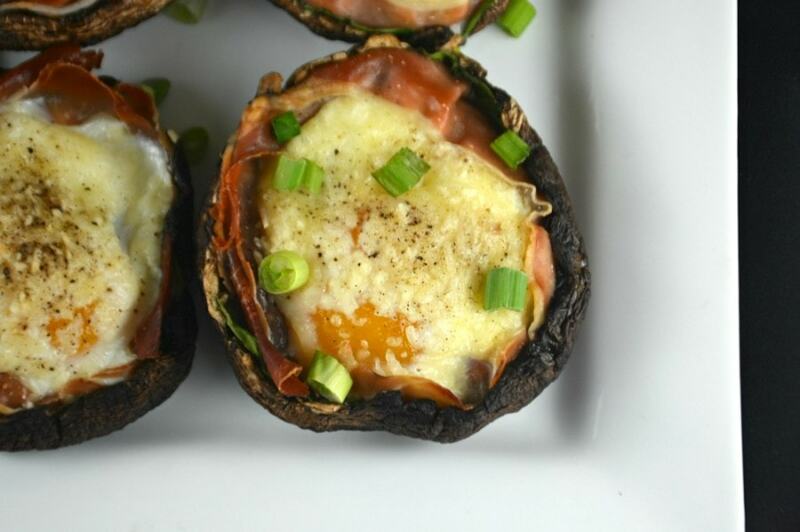 These Prosciutto Portobello Baked Eggs are fantastic! The prosciutto adds so much flavor and even without it the eggs taste divine! A wonderful way to start your day! In an attempt to make morning meals more interesting we have been trying to do new things with eggs. 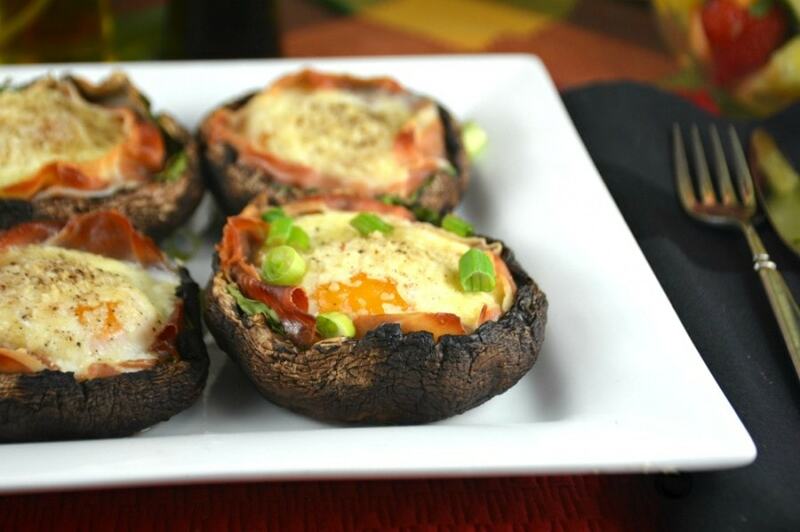 It was only a matter of time before we baked an egg in a big ole mushroom! We are definitely a mushroom family and I include mushrooms in every recipe I can! I started out only using the regular white mushrooms and for years stayed away from any other kind of mushroom. To be honest I do not know why. I just did. 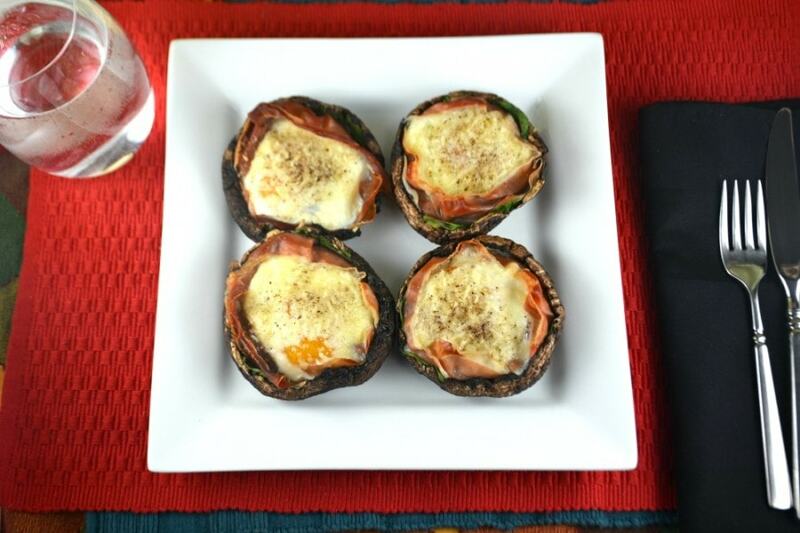 Finally, I tried these portobello mushrooms, at the insistence of my close friend, and decided they were truly delicious, so filling and the perfect meal! You just need to get creative and I did! You easily can too! We have made these Prosciutto Portobello Baked Eggs with a slice of ham, cooked bacon or salami and absolutely loved the results! Even without any meat at all these taste great and I think you will too!I also highly recommend our Pizza in a Portobello as well. We are getting older and are trying to avoid bread whenever possible. 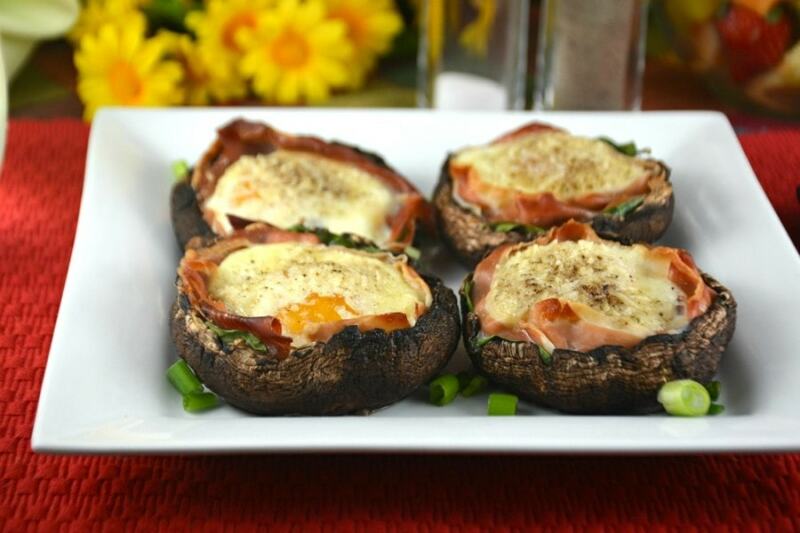 These portobello mushrooms are so tasty covered in sauce, cheese and whatever pizza toppings you desire! A delicious, healthier option! We also make The Best Stuffed Mushrooms and sometimes use the creamy shrimp and crab filling to stuff these portobello mushrooms. Boy oh boy are they tasty! Perfect as a snack or a small meal! 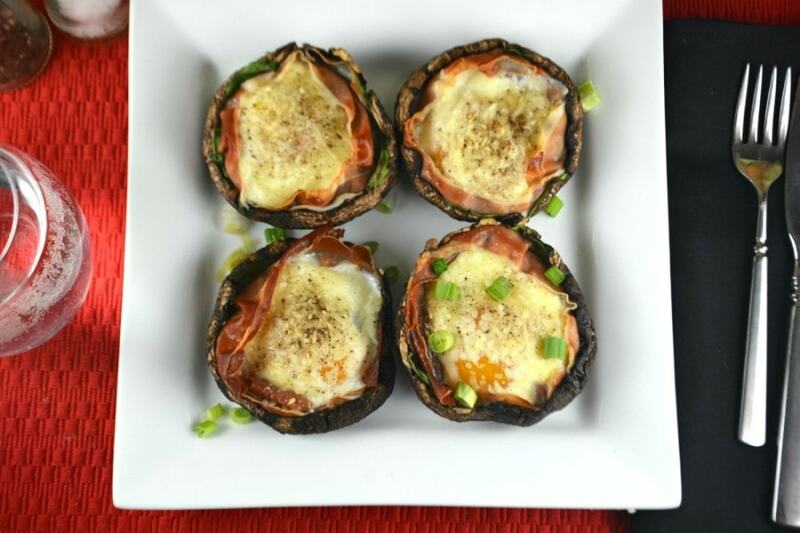 The creamy, cheesy, crab and shrimp filling blends perfectly with these big portobello mushrooms! Our video will be ready soon for these Prosciutto Portobello Baked Eggs and I hope you will take a moment to have a look! Preheat your oven to 400 degrees. Prepare a rimmed baking sheet with tinfoil and a rack lightly coated in cooking spray. Set aside. Wash your portobello mushroom caps. Remove the stem and scrape out the gills as best you can so there is as much room as possible for the egg! Brush the outside of the mushroom cap with olive oil and place on your prepared baking sheet. Place your leaves or green onions, if using, on top of the scraped out side of your mushroom. Press your prosciutto slices on top and up to the edges of the mushroom cap. You want to create a stronger edge to the mushroom to hold the egg inside and on top of the cap. Crack your egg and place it on top of the prosciutto. Sprinkle with pepper and parmesan cheese. Bake for 15-20 minutes, depending how you cooked you like your eggs and how thick your mushroom cap is.